the Increasing requirements for the screwing of the screw pairs, ensuring interoperability and durability of threaded connections require improved accuracy and surface finish of manufactured threads. 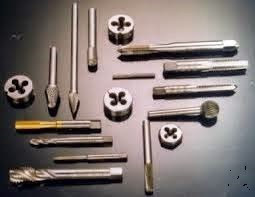 In addition, the broad implementation in industry of stainless and heat resisting steels, as well as a sharp increase in production volumes and automation and mechanization of technological processes require more advanced technology restroomsvery p create more sophisticated designs threading tools. the Most progressive method of retinoblastoma is rolling threads on a special rolling machines with flat dies and rollers or on a conventional lathe, drilling, die-head and turret lathes and automatic lathes, and manually thread-rolling heads and round rolling dice. When internal thread is formed by plastic deformation by pressing of the thread of the die or roller into the metal of the workpiece, whereby the outer elephant of the workpiece takes the form of thread, sealed to the superficial layers and nepereinami fibers, thereby increasing strength of the thread. The surface quality of this thread corresponds to the V7—V8 classes of cleanliness, accuracy class 2. By increasing the accuracy of the diameter of the rolled billet maybe even getting a thread 1 precision class. Rolling is a more efficient process, as the speed of thread 3 times higher than when cutting its heads and up to 10 times compared to conventional round cutting dies. 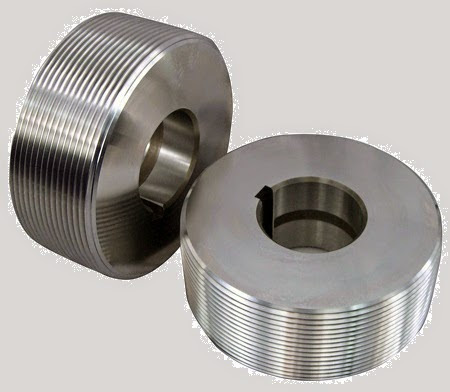 Resistance of the rollers up to 100 times or more exceeds the average durability of conventional threading round dies. In addition, the wrapping thread gives a considerable saving of metal by reducing the diameter of the workpiece, reduces energy consumption up to 2 times per unit of the rolled product. widespread two types of workers skiving tools: dies and rollers. Rolling dice generally work in pairs, and the rollers in sets of two, three, four pieces or more. 6), increased accuracy (class 1 and 2) and high purity (V7—V9 classes) thread. 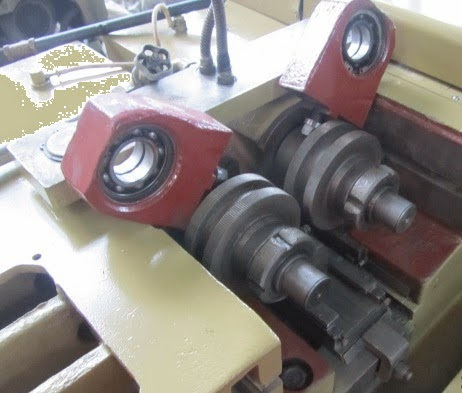 the disadvantages of thread rolling rollers should include reduced performance (60-80 pieces/min) compared to rolling the dice (100-120 pieces/min).